V.1.26 Pompeii. March 2009. 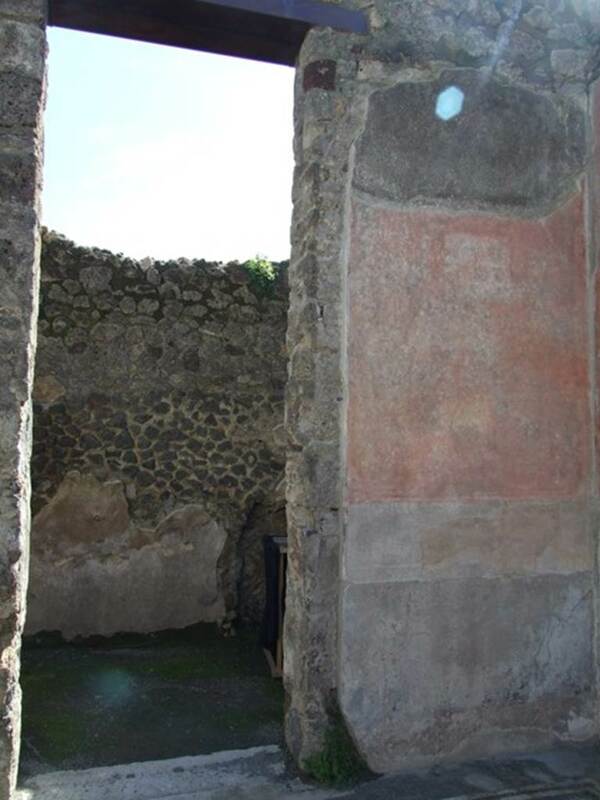 Room 1, doorway to shop at V.1.25, lararium, two cubicula and ala on north side of atrium. V.1.26 Pompeii. March 2009. 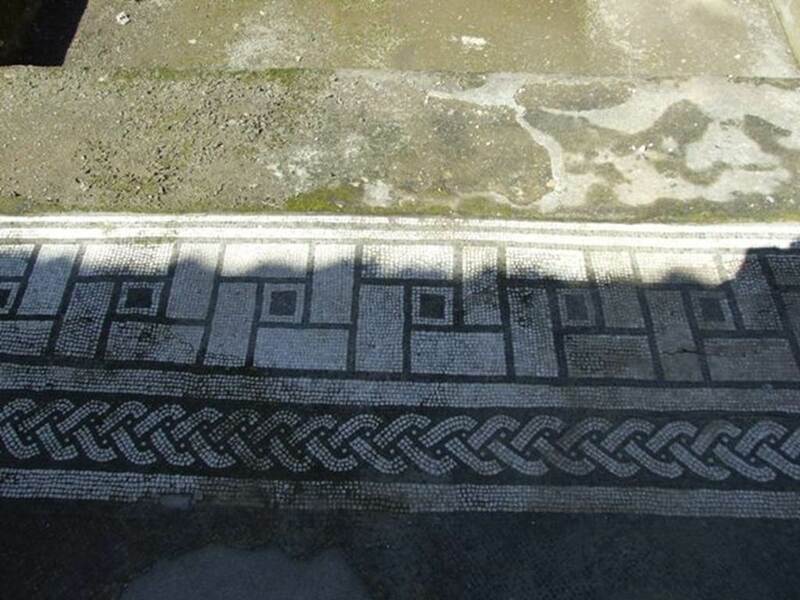 Room 1, mosaic edge around impluvium in atrium. Looking north-west. V.1.26 Pompeii. March 2009. Room 5, ala on south side of atrium. V.1.26 Pompeii. March 2009. 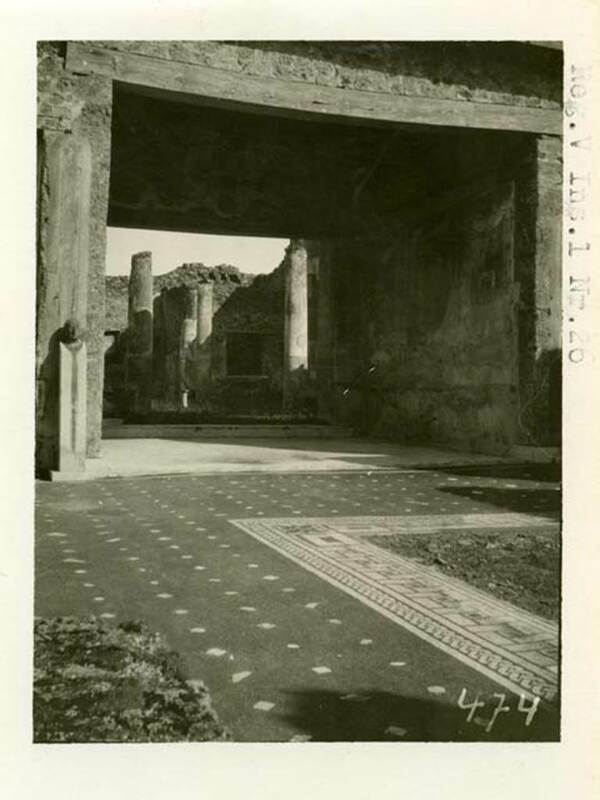 Room 5, mosaic floor in ala on south side of atrium. V.1.26 Pompeii. March 2009. 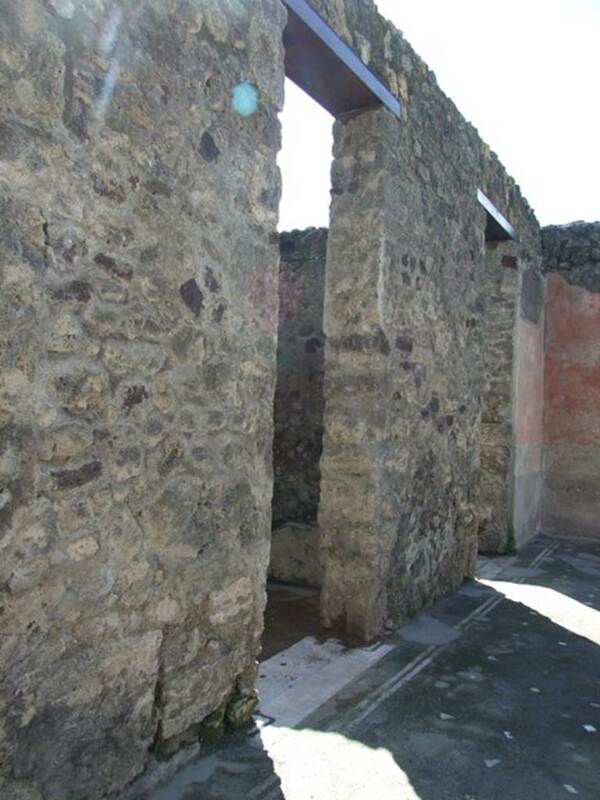 Two doorways to rooms 6 and 7, cubicula on south side of atrium. V.1.26 Pompeii. March 2009. 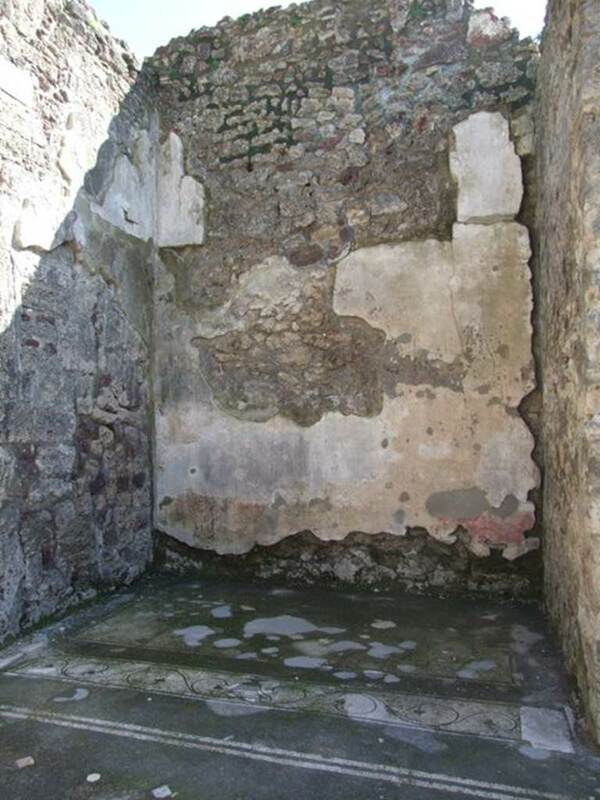 Room 6, cubiculum on south side of atrium. V.1.26 Pompeii. March 2009. 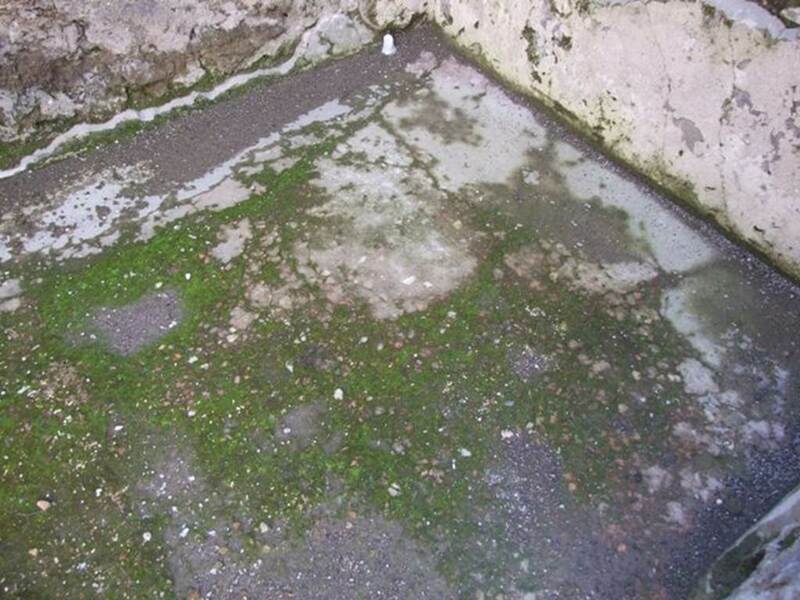 Floor of room 6, on south side of atrium. V.1.26 Pompeii. March 2009. 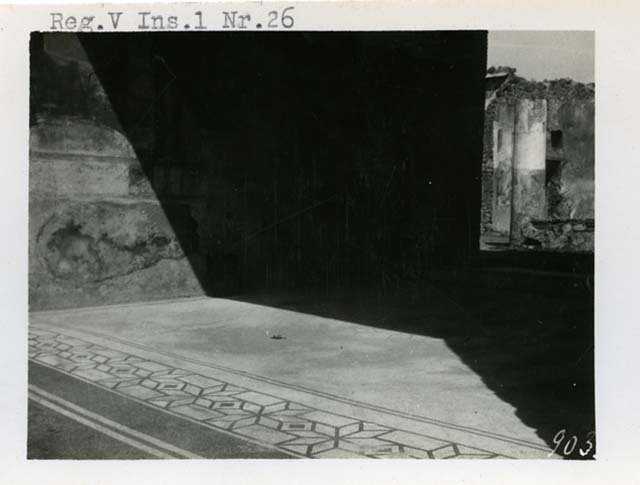 Room 7, doorway in south wall of atrium. 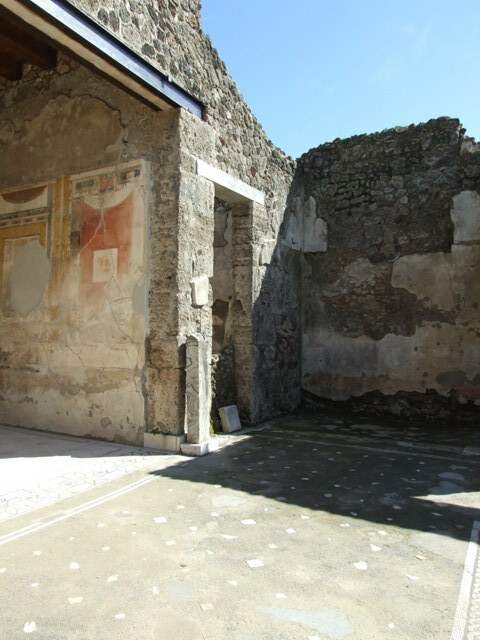 According to Niccolini, on the walls of the atrium in the south-west corner were two paintings. 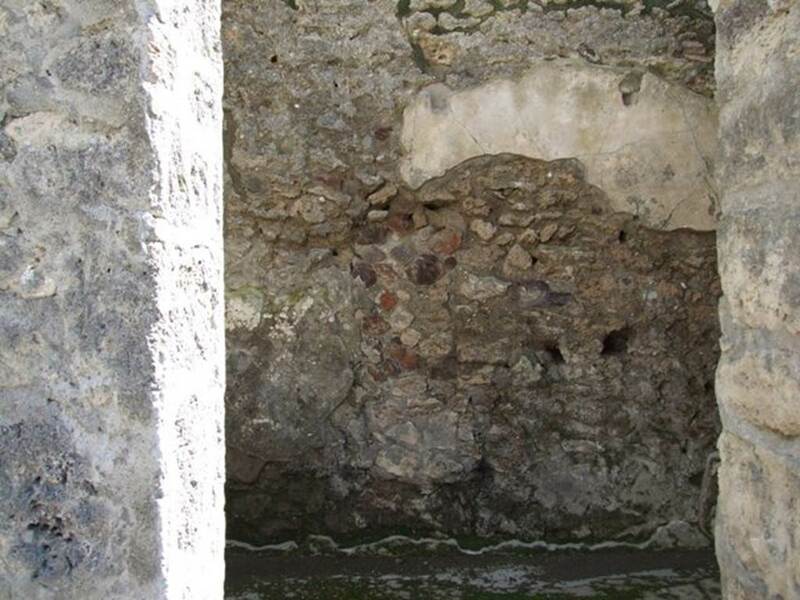 On the west wall was a painting of Ulysses and Penelope. 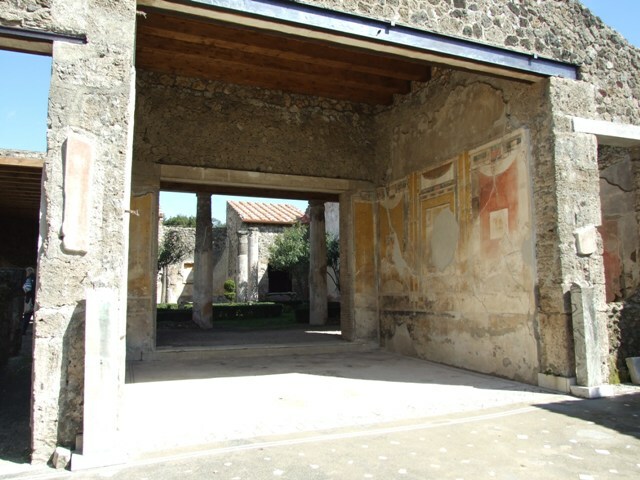 On the south wall, above on the right of the doorway, was a theatrical scene. See Niccolini F, 1890. 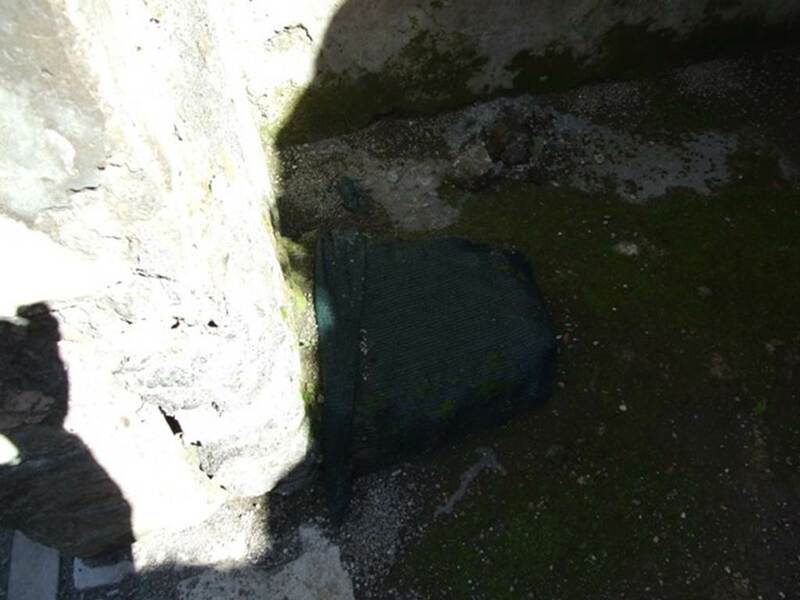 Le case ed i monumenti di Pompei: Volume Terzo. Napoli. V.1.26 Pompeii. March 2009. 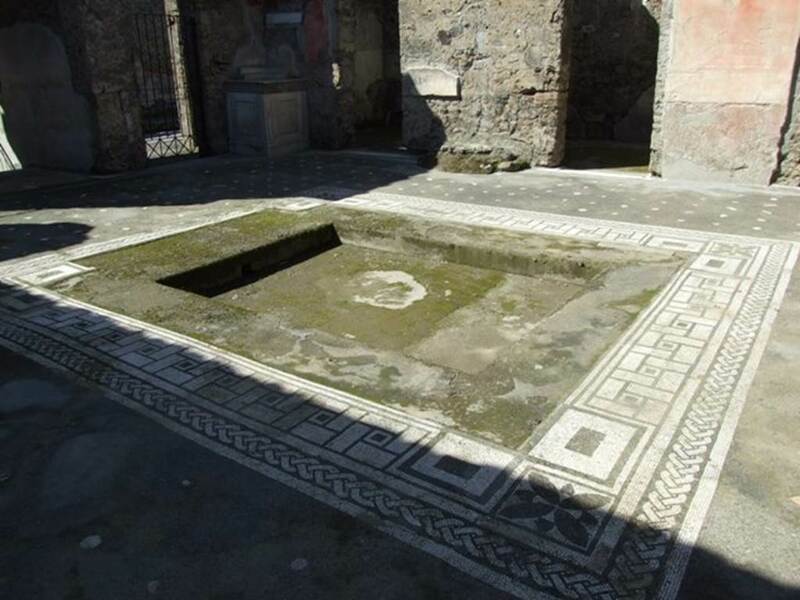 Room 7, floor of cubiculum in south-west corner of atrium. V.1.26 Pompeii. March 2009. 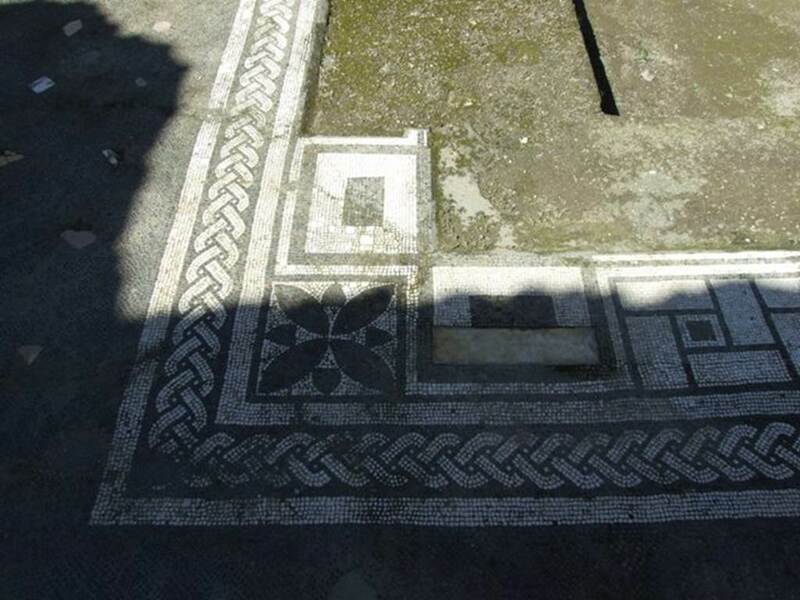 Room 1, mosaic edge around impluvium. V.1.26 Pompeii. 1937-1939. Looking east across atrium flooring towards tablinum. V.1.26 Pompeii. March 2009. 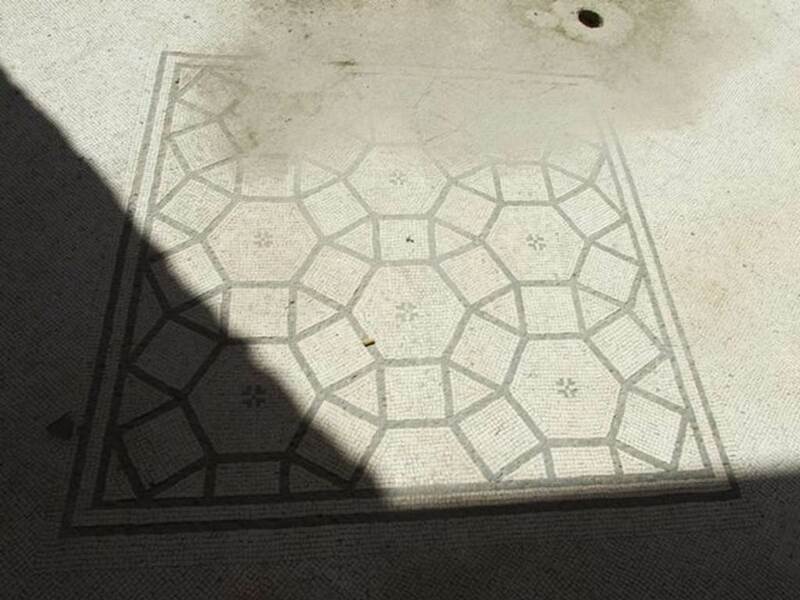 Floor in south-east corner of atrium. V.1.26 Pompeii. March 2009. Room 8, tablinum, with 2 empty pillars for busts. Looking east to peristyle garden. V.1.26 Pompeii. March 2009. 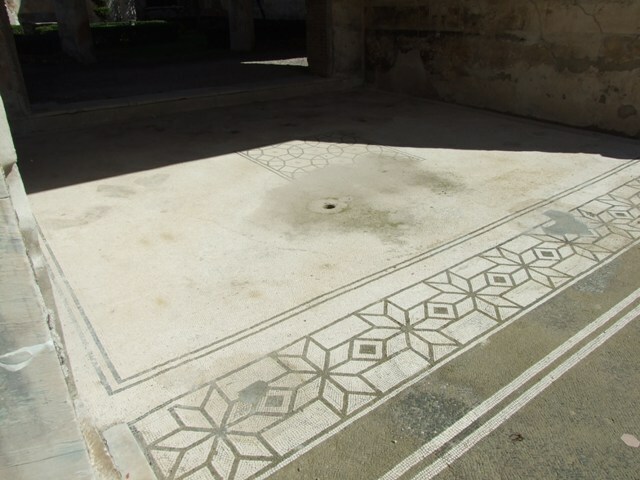 Room 8, mosaic floor in tablinum. V.1.26 Pompeii. 1937-39. 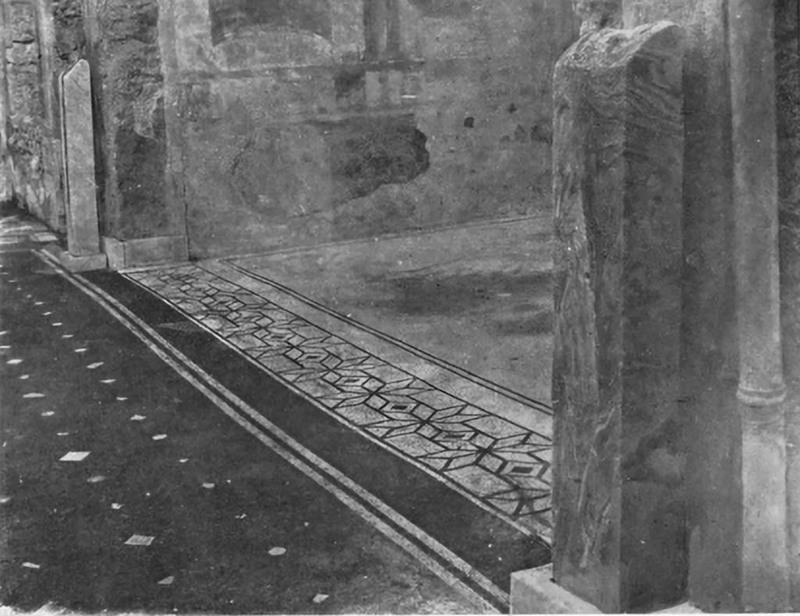 Room 8, looking north-east across floor mosaic towards north wall. V.1.26 Pompeii. March 2009. 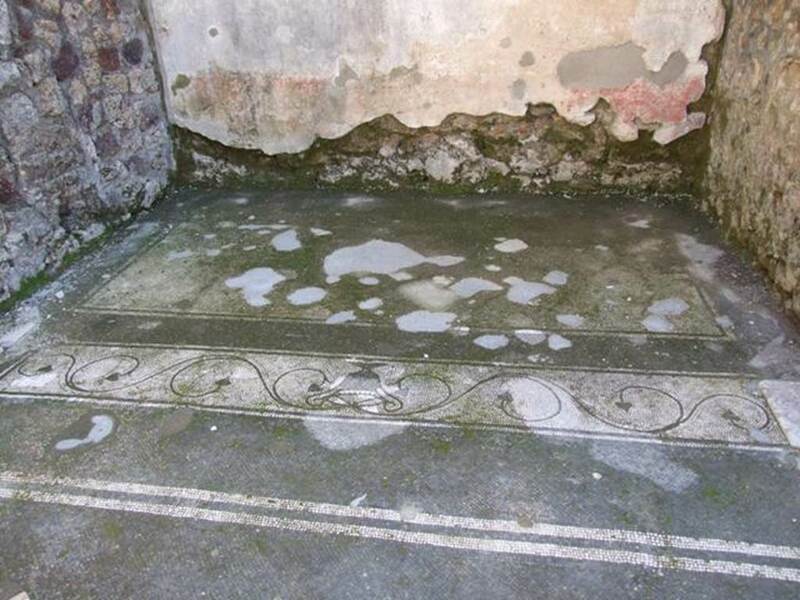 Room 8, mosaic in tablinum. Central emblema. 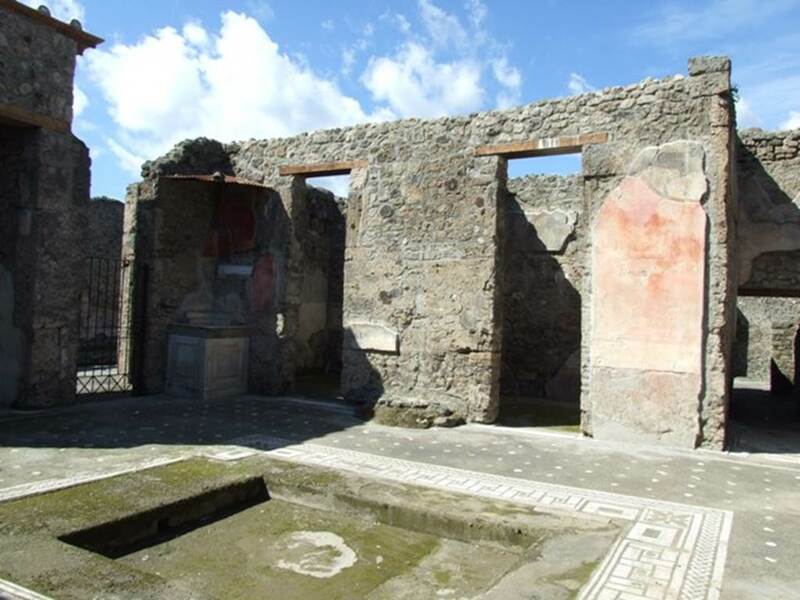 V.1.26 Pompeii. 1937-39. 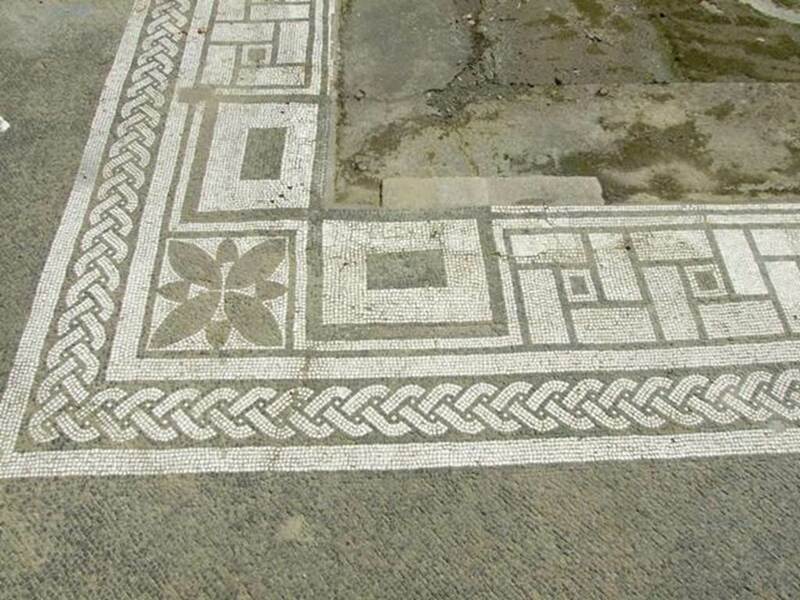 Room 8, detail of mosaic in central emblem in tablinum.